Develop a sensor to be used by humans on Mars. 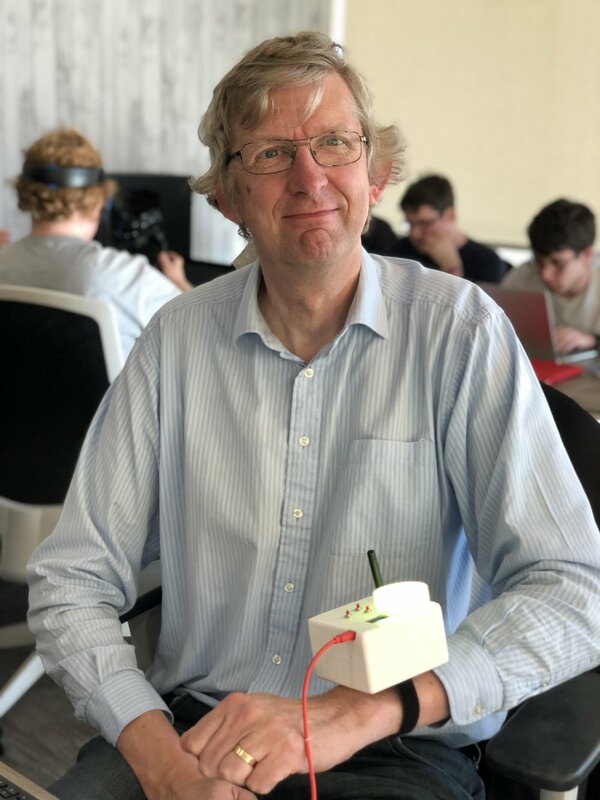 NASA Space Apps organiser and resident tech genius @ C4DI, Rob Miles, has been working quietly away on a Martian Wrist Watch that the wearer can use to protect themselves on the surface of the Red planet. The watch uses sensors to tell the user an array of information about their surroundings and will flash red if they are in any danger. The watch will be able to tell them about temperature, pressure, humidity and, most importantly, the ever present threat of dust storms. Whilst we can’t actually test this on Mars, Rob guarantees that it would work. The watch has taken shape and looks quite impressive - see for yourself! - and it can be calibrated for any atmosphere on any planet, not just Earth and Mars.